The European Commission’s crackdown last month on tax privileges for multinational corporations could be part of a bigger power play. The stakes could be much higher than preserving the autonomy of national tax authorities. In October 2015, the European Commission served notice about its commitment to fight tax evasion and tax avoidance. European Union Competition Commissioner Margrethe Vestager said the EC had decided that two well-known multinationals, Starbucks and Fiat Chrysler Automobiles, were benefiting from unfair tax privileges in the Netherlands and Luxembourg respectively. The alleged tax advantage stemmed from agreements between the companies and national tax authorities on transfer pricing. 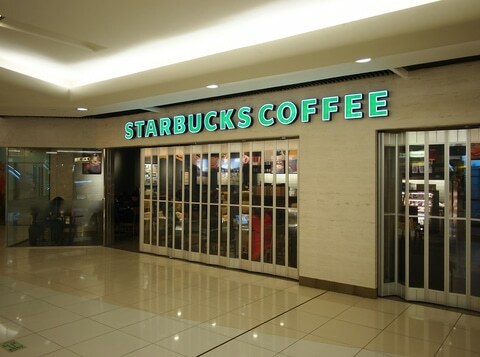 As the EU authorities acknowledged, neither Starbucks nor FCA had broken the law: both companies had complied with their tax obligations to the local authorities. However, Ms Vestager maintains that the Netherlands and Luxembourg should not have offered a more favourable tax treatment than other EU members. Hence, according to the line of reasoning followed by the Commission, Starbucks and FCA have taken advantage of the accounting methodology agreed with tax offices in the Hague and in Luxembourg. Having enjoyed an implicit subsidy, they are guilty of unfair competition. The two governments have been ordered to recover the subsidies handed out to the companies involved, which amounts to a form of retroactive taxation. The amounts are relatively modest (some 20-30 million euros in each case), but the case marks an important precedent for introducing the principles of retroactive taxation and limited fiscal sovereignty. The European Commission’s order that the Netherlands and Luxembourg should use EU methodology to deal with these tax agreements appears to be a gratuitous, additional humiliation for the national governments. From a broader perspective, the crime lies in having followed a methodology that Brussels does not like. Moreover, by stressing the concept of subsidy, the EU authorities point out that the infringement would not fall under the rubric of tax evasion or avoidance, but under unfair competition. While this announcement marks another episode in what looks like a drawn-out squabble between the Commission, national governments and big business (Fiat Chrysler, Starbucks and the two governments involved have already reacted vehemently), it could have important and unexpected implications. Firstly, it shows that the vexed issue of fiscal harmonisation is still very much alive. Until recently, there was a tacit consensus within the EU about respecting the principle of national tax sovereignty, provided some minimum common standards were complied with. For example, it had been agreed that each country within the community could design and enforce its own tax code as long as the VAT and the corporate tax rates did not drop below given thresholds. For the time being, there are virtually no constraints with regard to social security contributions and taxation of personal income and wealth. However, the latest ruling against the Netherlands and Luxembourg shows that the Commission’s thinking has changed. While they may be powerless to force member countries to modify their tax systems, the authorities in Brussels believe that they do have the power to charge national governments for illegal subsidies of economic activity, thus circumventing the principle of tax sovereignty. The Commission’s view is questionable. A subsidy is a form of government expenditure aimed at selected beneficiaries (e.g. low-income earners) or related to specific activities (e.g. job creation, exports or investments in research and development). Thus, the Commission must prove that the Netherlands and Luxembourg have approved tax deals that break a general principle of equal treatment. This breach is not evident. Certainly, the existence of a tax system that imposes relatively light burdens and of agreements that clarify areas of ambiguity do not qualify as a subsidy. The Commission’s initiative therefore deserves to be scrutinised very carefully. Yet, if the legal basis for the EU’s unfair competition policy is fragile, why did Commissioner Vestager raise the issue at all, and what can we expect? Tax issues are a political matter, in that the EU can encroach upon fiscal sovereignty only if all the member countries agree. Despite notable exceptions, so far the member states have rejected the principle of centralised decision-making as far as taxation is concerned. As a result, apart from the Common Agricultural Policy, the policymaking powers of the EU in the economic realm continue to be focused on regulation and monetary policy (the latter limited to the eurozone). However, decades of heavy regulatory activity have taken their toll: many large corporations have built and/or shifted production facilities away from Europe, retaining only those operations that are less vulnerable to bureaucratic burdens or whims and more likely to be the beneficiaries of subsidies (from the EU, rather than from the national governments). Furthermore, the evolution of the economy has diminished the role of the antitrust authorities. In a globalised world shaped by rapid innovation and cut-throat competition, mulling over dominant positions and abuses of market power is a sterile and perhaps even counterproductive exercise. The need for technocrats in charge of assessing ‘fair profits’ and ‘optimal company size’ is becoming less and less apparent. Not surprisingly, the regulatory apparatus needs to find something else to do in order to avoid losing influence and having its budget cut. This suggests the recent attack against the Netherlands and Luxembourg can be understood as a form of bureaucratic pushback, a manoeuvre by the competition authorities to carve out a new role for themselves in the EU. If they succeed, the outcome would be further burdens for large corporations. Multi-national companies will not only continue to struggle through the labyrinth of tax legislation that currently governs producers with operations in more than one country, but they will also have to negotiate with the authorities in Brussels, who might find the national tax structures unfair and intervene retroactively. If this attempt to interfere with the member countries’ fiscal sovereignty fails, it will be interesting to see who sinks the project. Any reaction by the Commission or the European Parliament will build up further tensions within the EU as various jurisdictions fight for power and prerogatives. Again, this would be bad for business. Companies do not like to operate under the constant threat of a change of tack in Brussels. They will be deterred by the risk of falling victim to new rules or conflicts originating from enmities between powerful and embittered bureaucrats. It may also happen that this power grab is thwarted by the member states, which may decide to set a firm limit on Brussels’ ambitions. It would be enough for the heads of government assembled in the European Council to confirm that unless a country’s tax practices clearly violate the letter of European treaties, their legitimacy cannot be questioned by other member states or the Commission, and that under no circumstances may corrections or new interpretations of the law have a retroactive effect. Regrettably, the Starbucks/Fiat Chrysler case has elicited no major reactions, except from the parties directly involved. In fact, the competition commissioner herself has informed the media that further decisions are imminent. This time, the companies in the dock are Apple and Amazon, while the countries guilty of supposedly illegal subsidies are Ireland, Belgium and – once again –Luxembourg. For the moment, no major EU country is involved. This absence is telling. Could it reveal the existence of a concerted strategy, in which some of the larger member states (which favour fiscal harmonisation) are using the Commission to pressure their smaller peers, which favour fiscal decentralisation – and more generally – national sovereignty? Time will tell: if the big countries manage to stay off Ms Vestager’s radar, this scenario will acquire credibility.